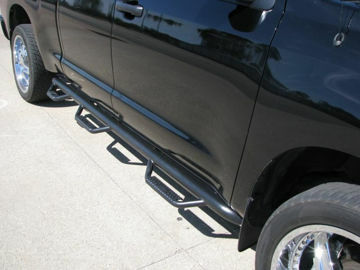 Our engineers selected these products for a complete lift for your Tundra. This kit offers the best ride and performance on and off road. Adjustable from 0 to 3" lift. (spanner wrench included for adjustment). Front Diff drop kit - TU-DR-07 - The front differential drop kit will reduce the angle placed on the CV axles thereby reducing wear on those components. 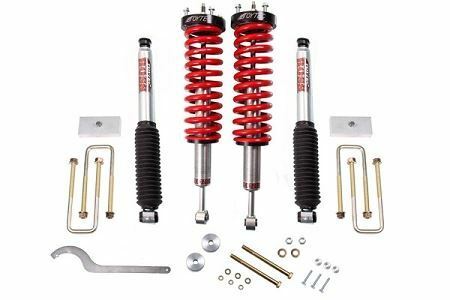 TT207R- ToyTec Rear nitrogen gas shocks for optimum performance on and off road. 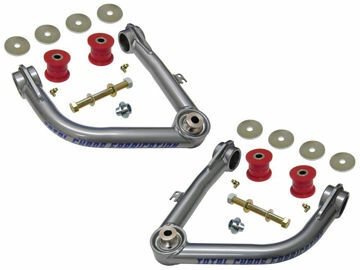 - OEM style stem - Reuses factory bushings. TT-MINI - ToyTec Progressive 3 Leaf Add-A-Leaf kit with U-bolts. Provides approximately 1.5" of lift. Installed on top of your overload spring. Total Chaos Uniball Upper Control arms - 87500 - Maximize your wheel travel and increase your strength while also correcting alignment angles. 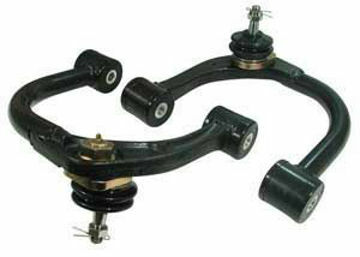 SPC Adjustable Upper Control Arms - 25490 - The most adjustable UCA on the market. Correct your alignment angles. Also great for adjusting for tire clearance.